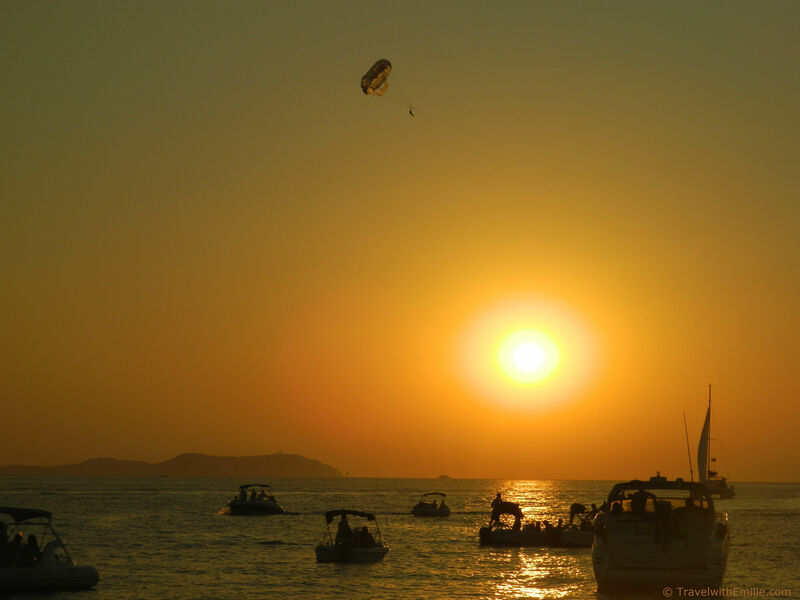 The second major city in Ibiza is San Antonio, famous for the thrilling sunset at the Cafe del Mar. The party places in San Antonio (mainly pubs in th so-called West End area) are for late teenagers that really want to get completely drunk every night. If you feel too old for this, you will enjoy listening to djs like Steve Aoki or Boy George at Cafe Mambo and watching the sunset at Cafe del Mar. Tip 1: Take your own drinks in a shop or in the small supermarket at the end of the strip. Tip 2: Don’t feel obliged to clap when the sun sets. He’s only doing his job! Hungry? We discovered a very nice but not too expensive (take the menu!) restaurant at the entrance of the marina when coming from the Cafe Del Mar: the Villa Mercedes. Be nice to the waiter and you will get free Ibizan herb liquor (similar to pastis)! Traumatised by the beaches on San Antonio seafront, we decided to take a ferry to Calla Bassa convinced by the very attractive sandy beach displayed on the posters. Well… yes the water is beautiful but there is no space to lie down, people are rude and there was no way we could both go for a swim at the same time leaving our stuff on the beach. We did not take any picture of this failed afternoon but we strongly advise you not to go in the high season. If you have a scooter or do not mind take the bus, Cala Gracioneta is a small but very nice beach close to San Antonio. 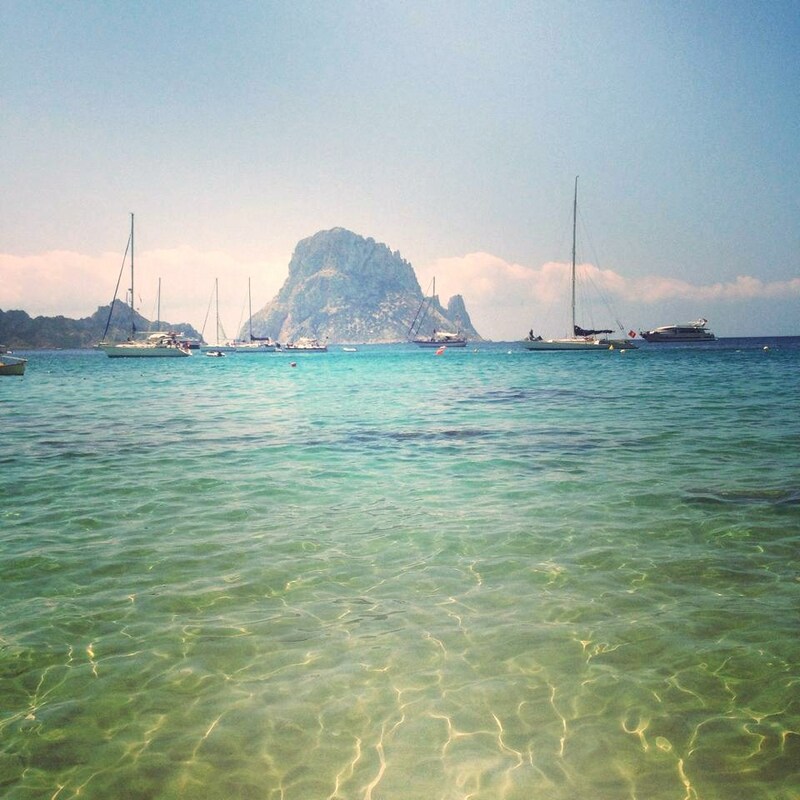 Don’t miss the beautiful El Chiringuito recommended to us by locals. Otherwise, the cleanest solution to swim in San Antonio is probably to go to the Ocean Beach Club which organises pool parties every afternoon. 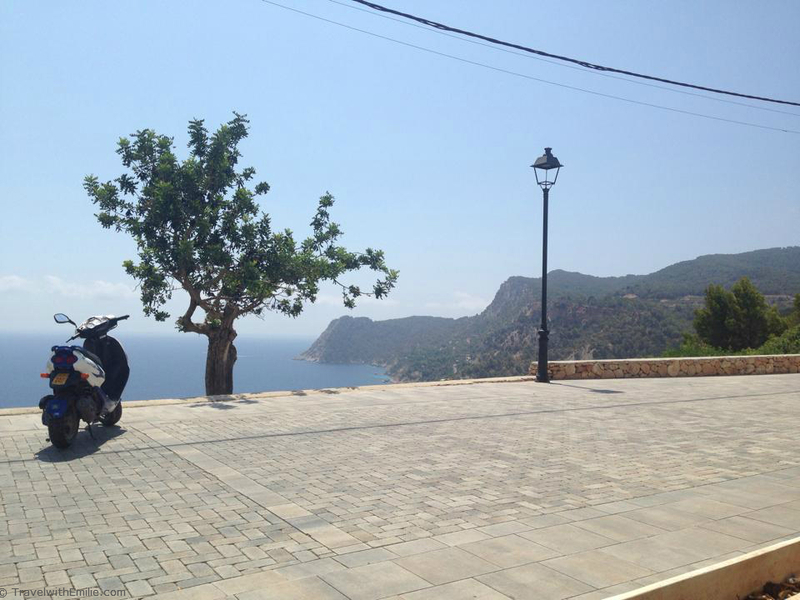 To improve your tan in a really beautiful place, rent a scooter, enjoy the views going up and down the hills and head South to Cala d’Hort and its small and lovely beach facing Es Vedra. Hungry again? Drive to the small village of Es Cubells to eat a tasty and cheap meal with a dramatic scenery you won’t be able to stop staring at. Conclusion: San Antonio is good for one or two nights but don’t stay there for longer!